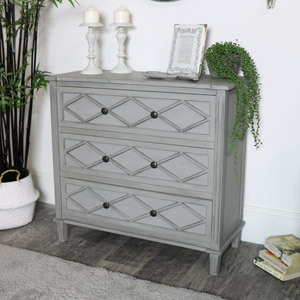 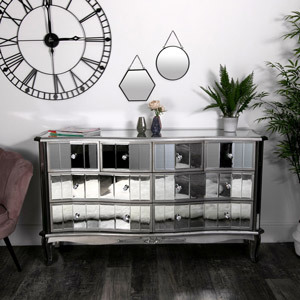 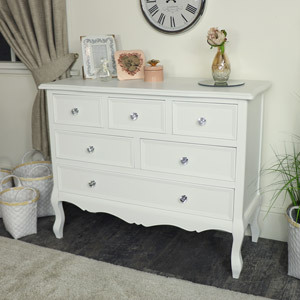 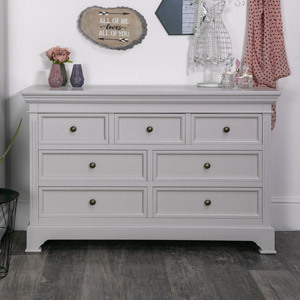 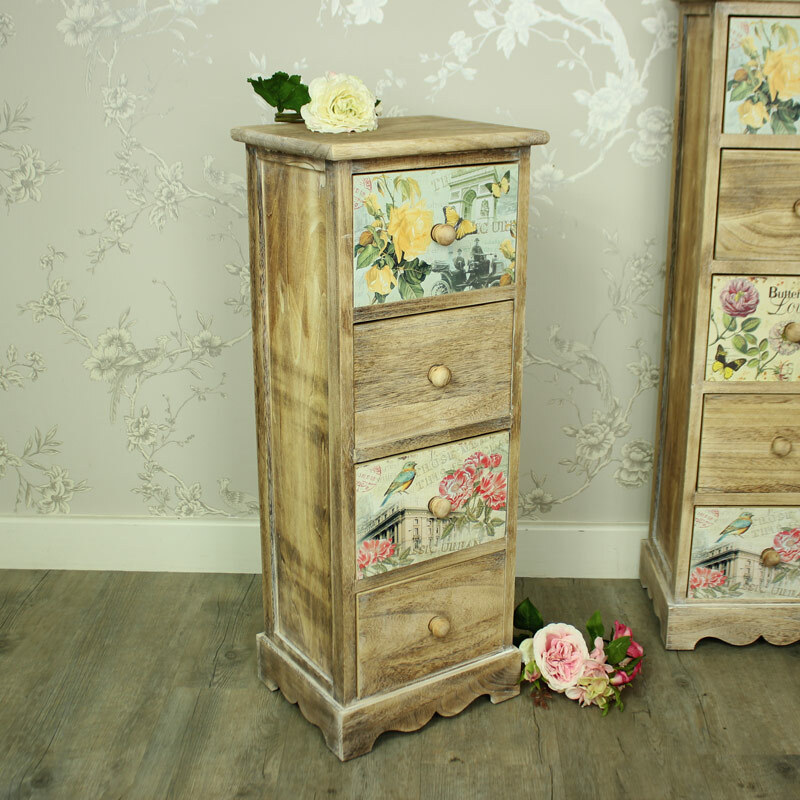 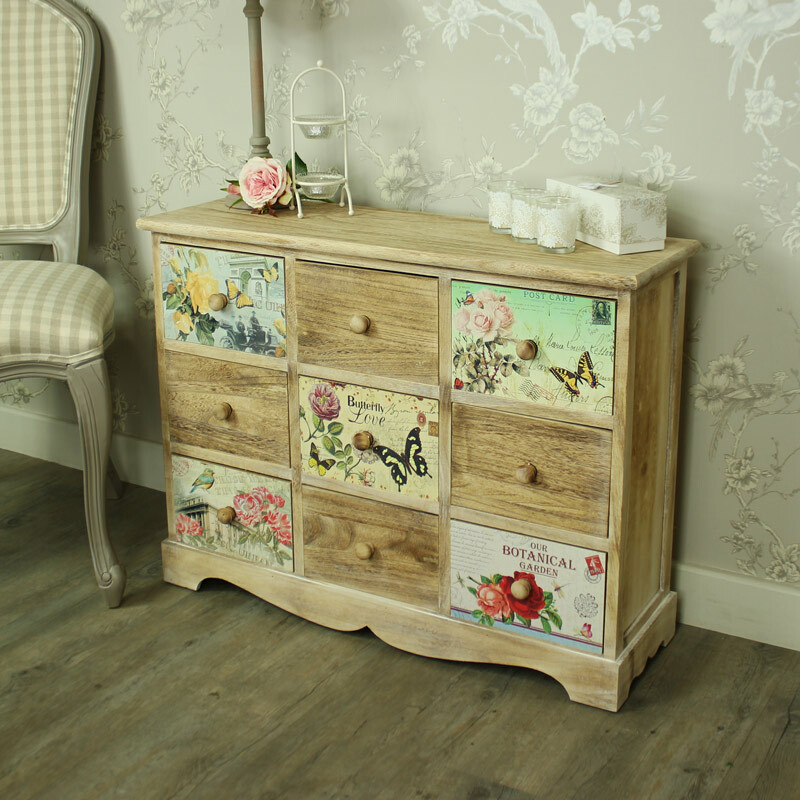 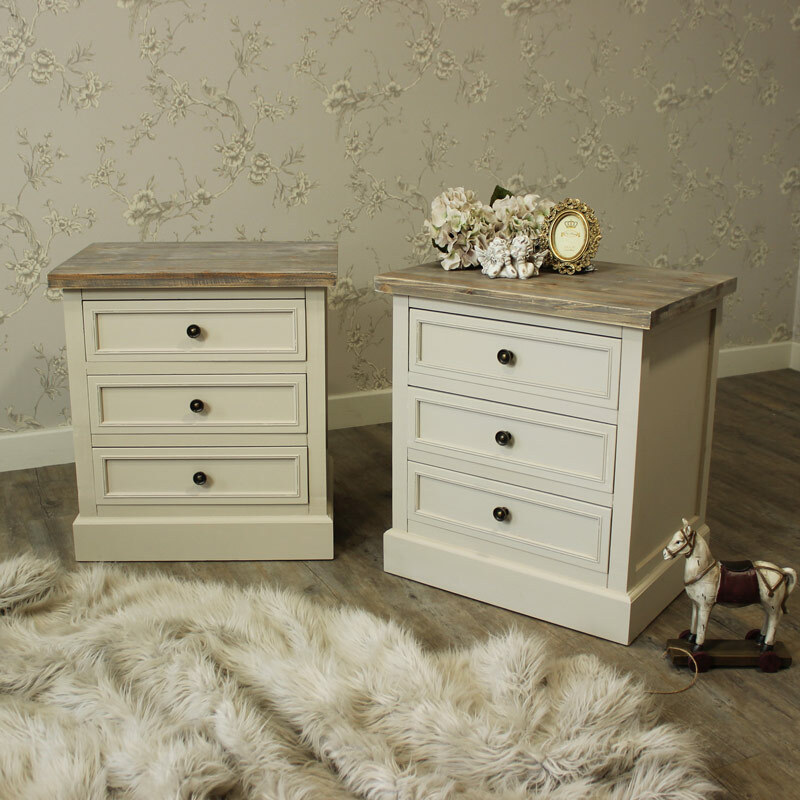 Our beautiful vintage and rustic chest of drawers can help you make your bedroom interior look sleek and stylish. 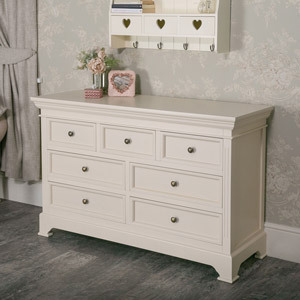 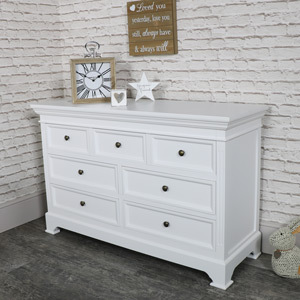 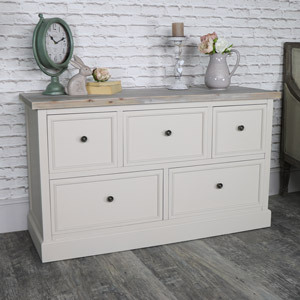 We have a range of bedroom chest of drawers to choose from with many different colours, sizes, and styles. 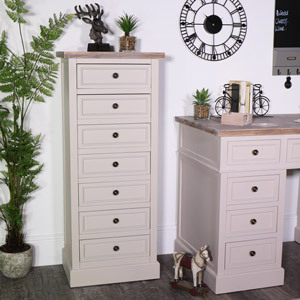 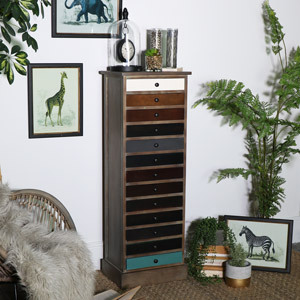 Made from high quality wood products, many of our chest of drawers are beautifully decorated with aged effect, distressed, or painted finishes. 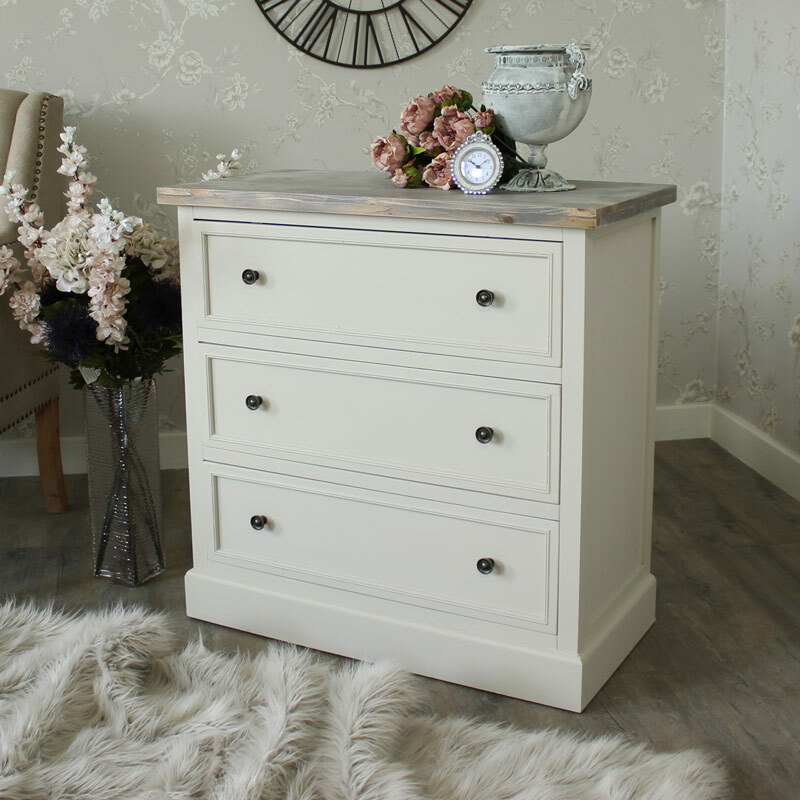 Some of our products even come fully assembled and or some may just take five minutes to assemble at home. 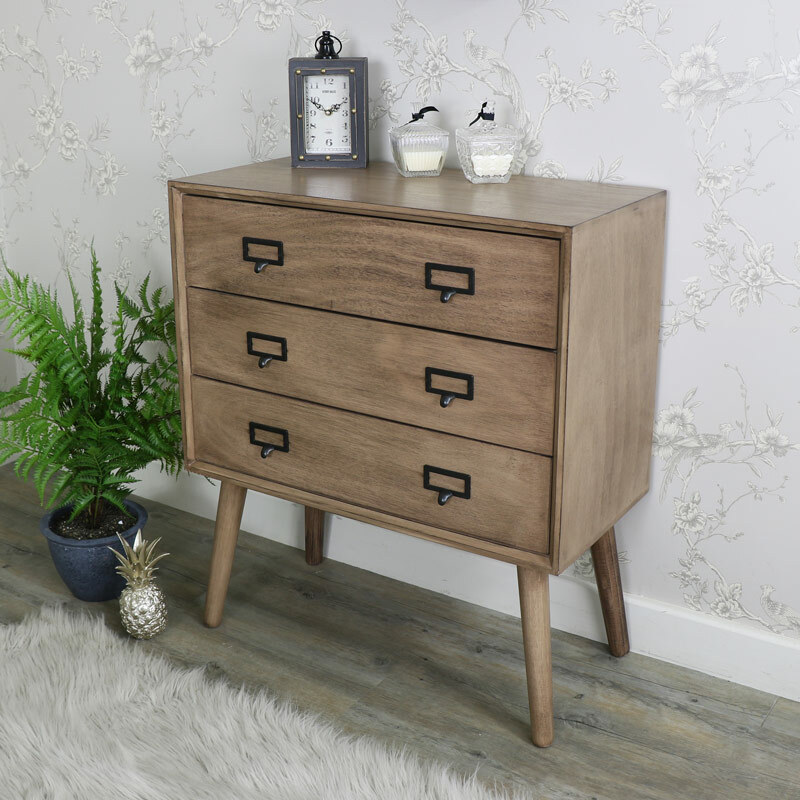 If you are looking to add some vintage style to your bedroom, we have the perfect bedroom furniture to choose from. 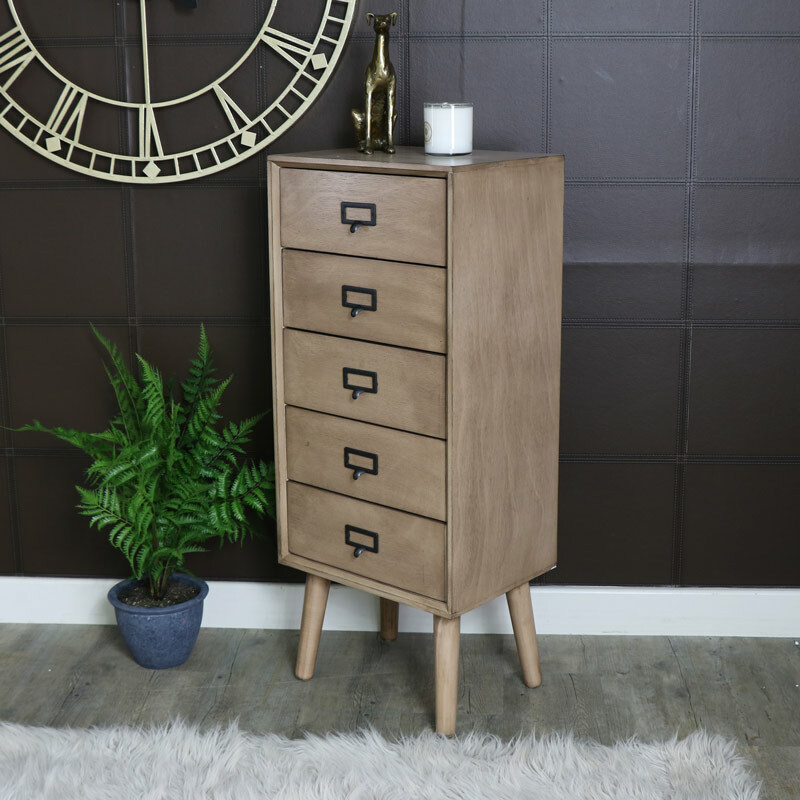 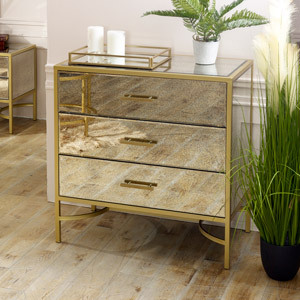 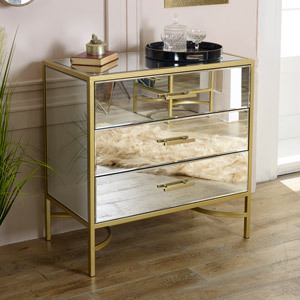 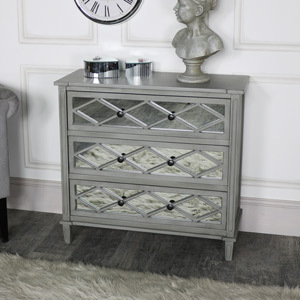 From bedroom wardrobes to bedroom bedside tables & cabinets, at Flora Furniture we have the perfect options for you to choose from.